Imparts a durable protective shine to enhance interior or exterior plastics, vinyl, sealed leather and rubber. Use on dashboards, doors seals, grilles, mouldings, bumpers and similar surfaces. Neopol Dashboard polish is the ultimate in powerful UV protectants, providing an unparalleled sun shield on plastic, vinyl, fiberglass, Neopol Dashboard Polish Products has raised the industry standard. No other products work as intensely, protect as powerfully, or last as long. 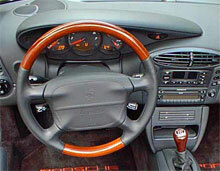 Neopol Dashboard polish will prevent drying, cracking, and fading caused by exposure to the sun. It was originally formulated for aviation applications, machines that come much closer to the sun than your vehicle. 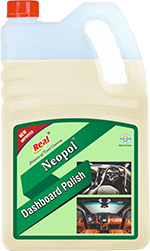 Neopol Dashboard polish also repels water and dirt, and resists stains. Treated surfaces will require less cleaning and will remain in 'like new' condition. It restores a sheen and fiberglass. Use Direct on dashboard or other plastic & vinyl surface.